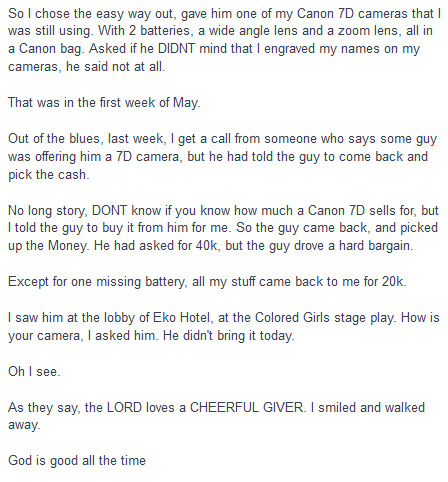 God surely works in mysterious ways! 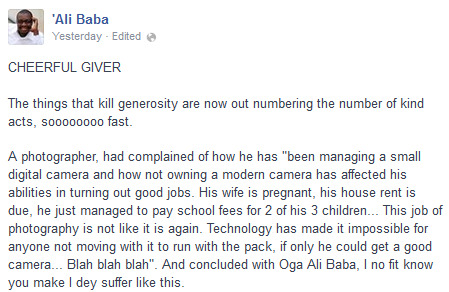 Naija comedian Alibaba, recently took to his facebook to share an interesting experience he had with an insolvent cameraman! 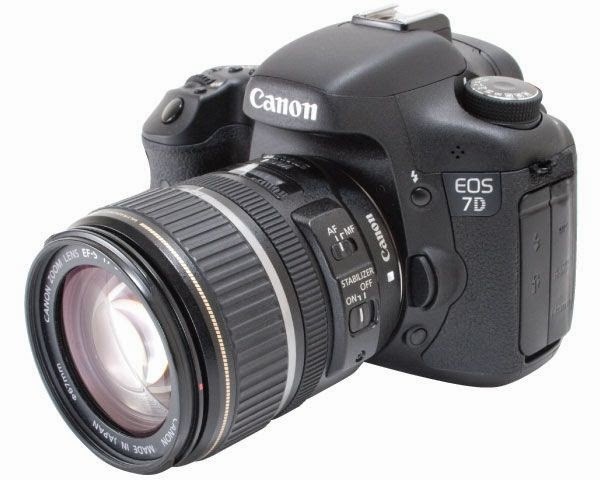 Continue reading to find out how the generous Alibaba and his expensive 7D camera were reunited!